Who are the Campus Life Crew? 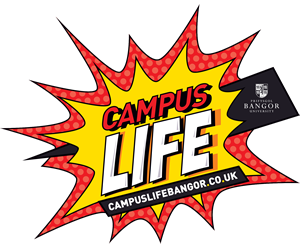 Bangor University Campus Life Events Programme is run by the Head of Residential Life, Residential Life Coordinator and the Campus Life Crew, for all residents of University Halls. The Campus Life Programme has been developed to help you to get the most from your time in Halls. So whether you’re a Fresher on Ffriddoedd, or a returner to our residences, your participation and involvement is key to making it all a success. We look forward to seeing you throughout the year at our timetable of events. Remember to let us know if there are any events you’d like to run! Keep up to date with the latest Campus Life events by liking us on Facebook.